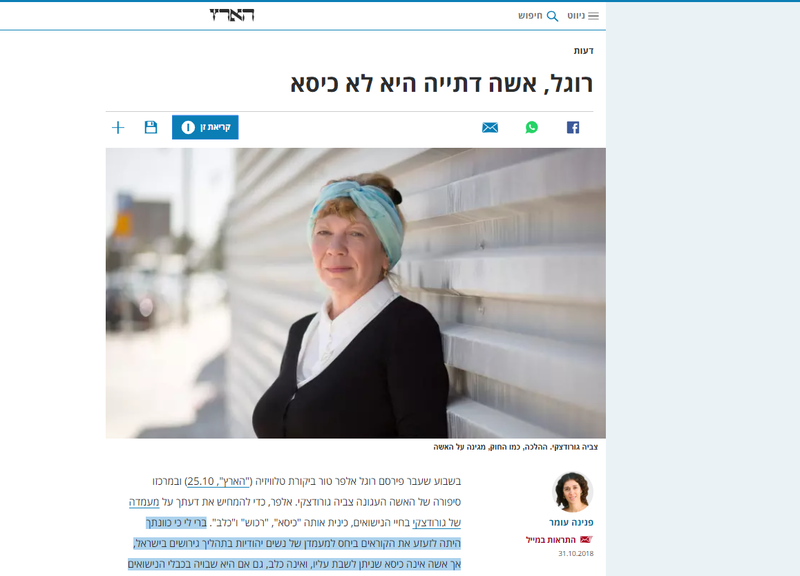 Rogel, although it is clear to me that your intention was to shock your readers regarding the status of Jewish women in Israel who wish to obtain a divorce, a woman is not a chair to sit upon nor is she a dog, even if she is enchained to a marriage by her husband. In your rush to protect a woman’s dignity, you publicly shamed her. No man may do with his wife whatever he wishes. A man is not permitted to marry a thousand women, nor may he transfer her from owner to owner as if she were a piece of property. And he most certainly isn’t permitted to “smash her against the wall,” not according to halakha and not according to civil law. Halakha, like civil law, protects women. In an extremely exceptional manner and in contrary to the accepted customs of the ancient world, throughout history Jewish women had rights both within her home and when she went outside of it. And despite this, the issue of chained women has remained the disgrace of the Jewish world. To a great extent, Jewish leadership has ceased searching for solutions for challenges presented by the modern world. This is an unfathomable moral failing and an injustice that contravenes the Law of Human Dignity and Liberty and even natural moral law. Alpher’s criticism of religious leadership for not having found a solution to this issue is justified, and it is also easy to identify with your criticism of the Jewish and democratic state that allows such a great injustice to exist under its jurisdiction. Modern society places supreme value on free choice. 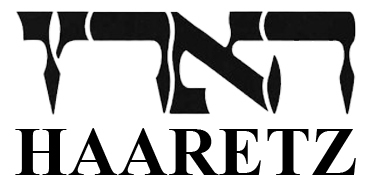 We must remember that, according to the Central Bureau of Statistics, some 55% of Israelis define themselves as religious or traditional. Many of them choose tradition or religion as a way of life, with all its positives and difficulties – including Tzvia Gorodetzky. Respect her choice. Alpher should respect Tzvia’s choice. Had she had wanted to break the rules of the religious world she belongs to, she could have removed any yoke, but she nevertheless chose to remain. Alpher’s primary concrete bid is that the state should open the ranks and enable private kosher Jewish Courts of Law, Batei Din, to operate in Israel and as such, to enable a wider range of more advanced halakhic rulings. But Alpher, please make note of the fact that Tzvia is not asking to be released from the chains of religion, but rather, from the chains of her husband.